Time is running out to save on registration for the most innovative conference of 2019! The School Nutrition Industry Conference is happening January 13-15 in Austin, Texas and you don’t want to miss “The Business of School Nutrition.” Registration is required before hotel reservations can be made at the SNA rate, and rooms are filling up quickly, so don’t wait—register now! Plan to come a day early for a pre-conference session. 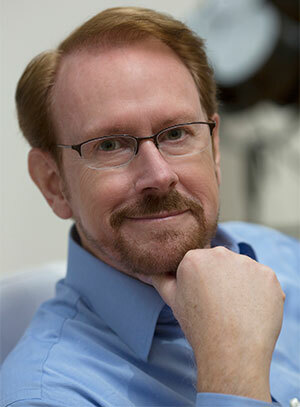 Read on for a sneak peek into what opening keynote Daniel Burrus, global futurist and innovation expert, has in store. What are the three most important innovative trends you see that relate to school meal programs? Growing school meal participation, regulatory challenges, and recruiting and retaining talent are three trends that represent both problems and opportunities. I will teach the audience how each trend can be positively influenced to create better outcomes. Give us a sneak peek of what you have planned for SNIC in your session! I will share strategies attendees can use to overcome their biggest challenges. I will also show how to find certainty in a seemingly uncertain world because certainty gives you the confidence to make bold moves. What are you most excited for at SNIC 2019? There has never been more opportunity to make a bigger difference than there is today. I’m excited to share practical strategies both operators and industry partners can all use to make a bigger difference when they return from the conference. Don’t miss Daniel Burrus and the rest of business strategy experts we have lined up to speak at #SNIC19 to help you plan for and build the future of school nutrition operations!